Sunday parking meters have cut cruising times in half, according to an SFMTA report. Mayor Lee wants to undo that. After a years-long push to implement a smart parking policy in San Francisco, leave it to Mayor Ed Lee to take us back to 1947. The mayor wants to repeal parking metering on Sundays, undoing the slew of benefits that the policy has brought to the city in its first year. 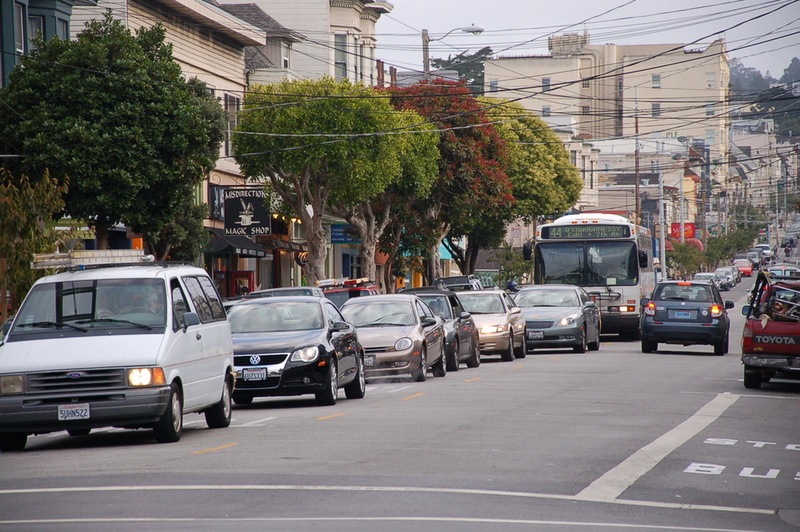 As a recent SFMTA report lays out, Sunday metering has increased turnover for businesses and reduced car traffic circling for parking in commercial areas. Previously, meter hours hadn’t been updated since 1947, when businesses generally weren’t open on Sundays. By pandering to drivers complaining about parking tickets, the mayor appears to be betting he’ll win support for three transportation funding measures expected to hit the ballot in November. But reinstating free parking would come at incredible cost in the form of extra car traffic, while undermining the SFMTA’s ability to implement rational transportation policy. Lee’s absurd argument is that SF doesn’t need Sunday metering because Muni will have sufficient funding once voters approve the ballot measures. It’s an insult to the transit-riding public, and it shows how out of touch he is with the city’s transportation needs. Explaining why he didn’t stand in the way of Sunday metering when it was adopted, he told the SF Chronicle this week, “I’ve always felt uncomfortable with it, but Muni was suffering and we needed the money,” as if parking meters serve no purpose other than revenue collection. The average time drivers took to find a parking spot during Sunday meter hours was cut in half, from four minutes to less than two. Turnover increased by at least 20 percent, meaning that more customers were using the same amount of parking spaces. The average availability of parking on Sunday doubled during metered hours, increasing from 15 to 31 percent. The city’s underutilized parking garages are being used more: Garage occupancy on Sundays from 12pm to 6pm increased by 13 percent. Meanwhile, Mayor Lee claims that the city still receives a litany of complaints about Sunday meters, and he hopes to appease those folks. But as of September 2013, the city’s 311 service had received just 23 calls and emails complaining about Sunday metering, according to the SFMTA report. Double the average time drivers take to find a commercial parking spot on Sundays. Reduce turnover by at least 20 percent, meaning that fewer customers can park in each space. Cut the availability of commercial parking during Sunday business hours in half. Reduce occupancy of underutilized parking garages on Sundays by 13 percent. Additionally, by arguing that we can do without Sunday meter revenue because voters will be asked to approve transportation funding measures (for capital improvements, not Muni operations), Lee is basically saying he wants San Francisco taxpayers to bankroll free parking on Sundays. Of course, revenue is not the main reason for parking meters — management of parking demand is, even if that fact is ignored by Mayor Lee and the media outlets that are reporting on his free parking campaign. If Mayor Lee simply wanted to reduce the pain of parking tickets, there’s a much less damaging way to do it. The SFMTA’s widely-lauded SFpark program, and the expansion of meters that accept multiple forms of payment, have led to steep declines in citations. On Sundays, parking citations have already declined slowly but steadily throughout 2013 as drivers adjusted to the new system, according to the SFMTA report. 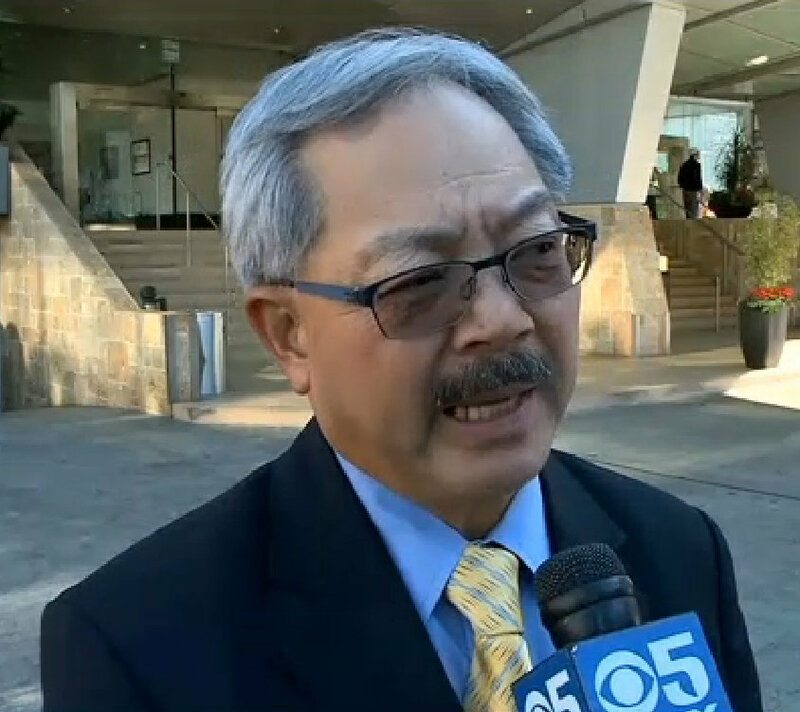 Mayor Lee is expected to elaborate on his position at his “State of the City” address tomorrow. Especially in light of a spike in pedestrian deaths, Muni’s multi-billion dollar capital funding shortfall, and the high rate of Spare the Air days this winter, any political decision to encourage driving in San Francisco is irresponsible. Please write your supervisor and the mayor! Check out the minutes from their joint meeting with the SFMTA and the statements SBC made. The last meeting minutes I could find are from December 9, 2013. http://sfgsa.org/Modules/ShowDocument.aspx?documentid=11274 There are no references to Sunday metering in these minutes. Is there some other meeting, or maybe some other SBC you’re thinking about? Also, it looks like this is simply a forum for individual business owners to bring concerns to SFMTA, hardly a policy document or decision making body that contains any research behind the statements made by individuals who provide statements. Just increase the fares on MUNI and make the system self-sufficient… the City has already taken their fair share from drivers, $68 for street cleaning enforcement and $104 tickets for 2 hour parking violations… thats ABSURD. Aw, those poor scofflaw motorists breaking the law–holding them responsible for their bad choices is so unFAIR! Meanwhile, I’ll agree Muni should pay for itself after all roads, highways and freeways explicitly pay for themselves without a single dollar from any general budget fund–and not a minute before then. It shows a wide variety of opinions and concerns from merchants, citizens, and activists from both sides, ending with the conclusion that when it comes to transportation, each corridor needs to be looked at on a case-by-case basis because one size doesn’t fit all. I don’t think any intelligent person could come away with the same read as you posited. This was just a typical meeting of citizens looking to find the right way forward in terms of transportation, not the polarized condemnation of Sunday metering as you suggested. Once again, misinformation is the currency of the bot. And you have been called out. Again. Ok, buy not until you agree to never buy a single product delivered via a truck on a public road, refuse emergency services that depend on road infrastructure and agree that in the case of a natural disaster to not use any roads for evacuation purposes. Go ahead, Ill wait. Parking meters are like Credit Cards, the real money is in the penalties, that being said SF got almost 40 Million in revenue from meters last year, that could pave a few parking spots. HAHA, oh you bicyclists, your logic is so flawed. What you don’t take into account is the subsidies that we give businesses who operate large fleets of vehicles/large vehicles in the form of reduced registration fees. This is by design… you know for all those bike shops that need a fresh shipment every few weeks. Roads are a public service, I’m not going to spend anytime justifying that statement as it should be obvious. While roads may be a public service, roads optimized for car and truck travel are not. Don’t forget that before the large scale public subsidization of roads, this country got along quite well with trains and ships delivering most of the goods to our cities, and streetcars (which we initially private enterprises) moving people around. Even bicycles and bicycle parts could be delivered to our cities on trains and ships – without the need for cars. To suggest that we all need to pay property taxes and sales taxes to allow people to drive their private vehicles unfettered around the city is a gross distortion of the very real inequality in tax payments that the 30% of people who don’t have cars, and the many more that commute primarily by public transport and bicycles have to make to support those people who do have cars. Again, before you spout off, particularly on a transportation blog you should spend a little time educating yourself. No matter how much the rest of us suffer and sacrifice, it is never enough to make selfish, self-entitled freeloaders like @San_Francisco_Kid:disqus and @sebraleaves:disqus happy. It’s been 20 years since the national gas tax (which is not tied to inflation so as a percentage it’s continually going down) was last raised, but do we get a thank you? Even though meters run at a loss in order to make it easier to find parking, but do we see even a hint of some gratitude? It’s 10 years ago the Gov. Schwarzenegger cut the vehicle license fee (VLF) by 2/3, but do we see any appreciation for their tax holiday? Most of the VLF and gas revenue is used for road and bridge maintenance so cutting them is why @jd_x:disqus correctly said drivers don’t cover the cost of maintaining the roads they use. This has placed a greater burden on everyone through the funds that have to be diverted from things like educations to maintain roads and on drivers through the added wear-and-tear on their cars. Someone has to maintain the roads and since voters decided it wasn’t going to be through property taxes via Prop 13 and electing a governor on the promise of a lower car tax, it has to be somewhere. Some of that burden is being placed on car owners through fines as a means to further subsidize fees for law-abiding car owners. Raising taxes (on everyone or just car owners) spreads out the cost of road maintenance so each of us pays less overall. It’s long past time we stop coddling these self-centered jerks who don’t care about anyone but themselves. When anyone suggests they start paying for at least some of cost they throw a temper tantrum. Would you invite someone to dinner if they acted this way when the bill arrived? Why should we keep paying ever more of their bills? Why are they so special? Sebra must be referring to the study concluding free sunday parking is idiotic. She cleary didn’t read beyond the introduction setting some context to just how wrong self-entitled freeloaders are. If Sebra bothered to read any further, the recommendation was to expand metered parking to the entire city. If I were just making that up, Sebra shouldn’t have any problem finding a link or copy of the document she’s pulling from. Until then it seems like she’s just making up whatever she wants. If we only subsidized public roads for the transport of goods, our transportation system would cost a minute fraction of what it does now. Nonetheless, I would gladly pay $10 more for a bicycle if it meant not paying $100 in property taxes to subsidize the private use of roads that I don’t use. Will SFMTA’s Board Buck Mayor Lee, Keep Sunday Parking Meters?